Your favorites are on promo! (SPOT.ph) You deserve a treat this payday weekend! 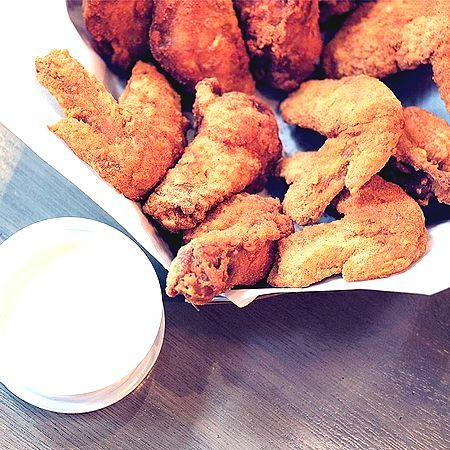 We’ve found some awesome food steals and deals that are going to keep you and your cravings satisfied althroughout the week. 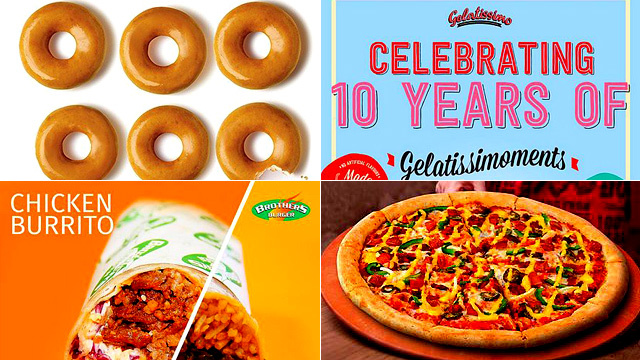 Check out these promos on doughnuts, pizza, drinks, and more. Plus, one-peso xiao long bao? Can’t say no to that! 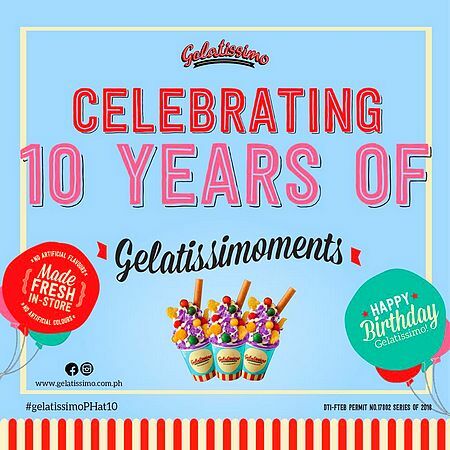 Gelatissimo is celebrating their 10th anniversary with a limited-edition halo-halo flavor! Get it for free when you drop by tomorrow, 6 p.m. onwards. Make sure to be there on time because this offer is available only until supplies last! See a list of Gelatissimo branches. For more information, log on to Gelatissimo's Facebook page. 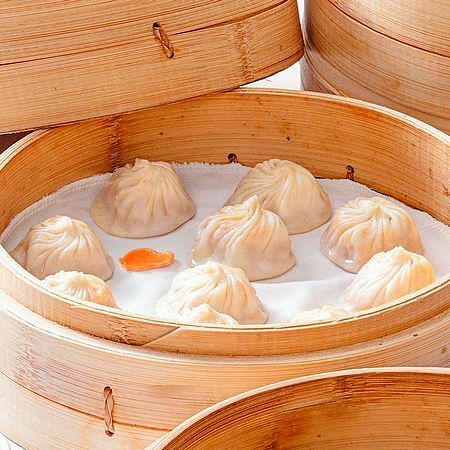 Mark your calendars because November 22 is Din Tai Fung’s Xiao Long Bao Day! Order five pieces of xiao long bao and enjoy a five-piece basket of pork xiao long bao for just P1 each. Yup, that means you can get a basket for P5 only! This one-day-only offer is valid for dine-in transactions. See a list of Din Tai Fung branches. For more information, log on to Din Tai Fung's Facebook page. Celebrate payday with Yellow Cab’s latest promo! Get a regular 10-inch Hawaiian Pizza and soda for free when you order an eight-piece Chicken Box and regular Chicken Alfredo for P918. This offer is available for dine-in, takeout, and delivery until tomorrow only. Make it the sweetest weekend ever with this promo! 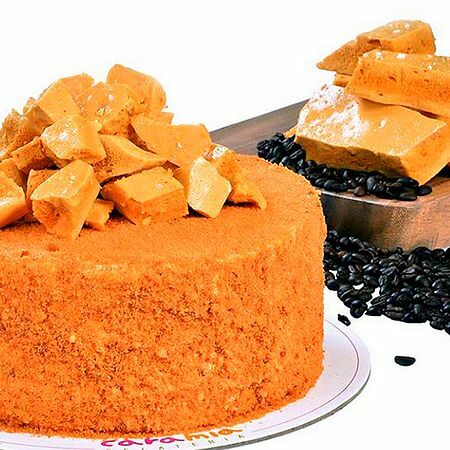 Get a free Sea Salted Honey Crunch cake from Cara Mia when you buy any whole cake from Cara Mia branches in Trinoma, SM Fairview and Ayala Fairview Terraces today and tomorrow. See a list of participating Cara Mia branches. For more information, log on to Cara Mia's Facebook page. 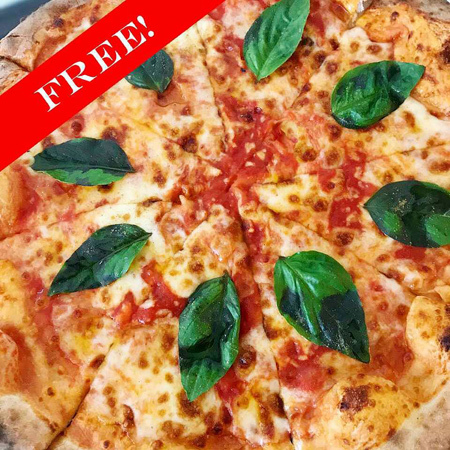 Amare La Cucina is celebrating their first anniversary in Kapitolyo with a pretty sweet deal: Buy any pizza and get a free Margherita pizza for free! Hurry, because this promo is only available until November 18. 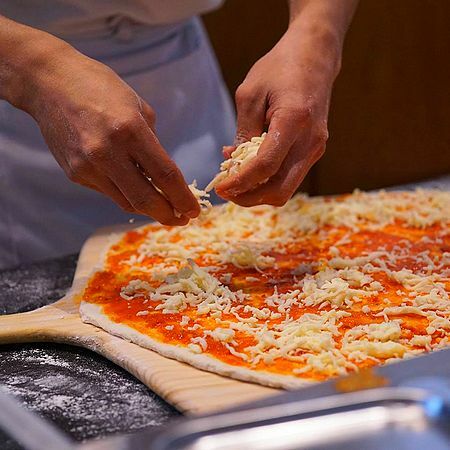 Amare La Cucina is at 91 East Capitol Drive, Kapitolyo, Pasig City. 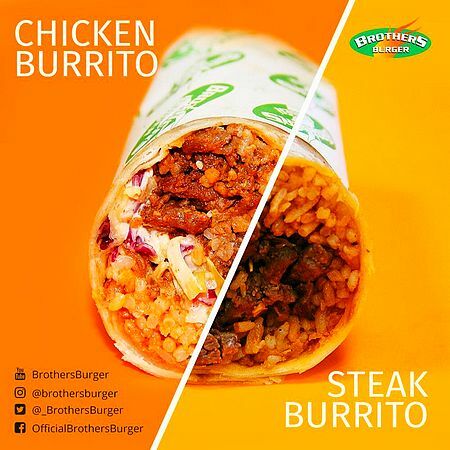 Enjoy your Mexican favorites at Brothers Burger every Wednesday. Take advantage of a two-for-one offer on burritos or quesadillas. Your choices include Chicken Burrito, Steak Burrito, Chicken Quesadilla, or Steak Quesadilla. This promo is available on all Wednesdays until January 9. 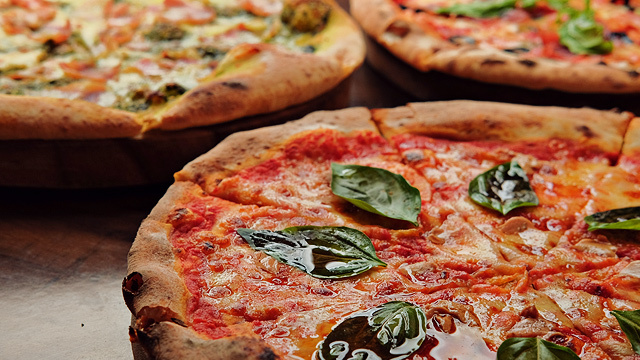 Enjoy two 18-inch pizzas for just P999 at Motorino today and tomorrow only. 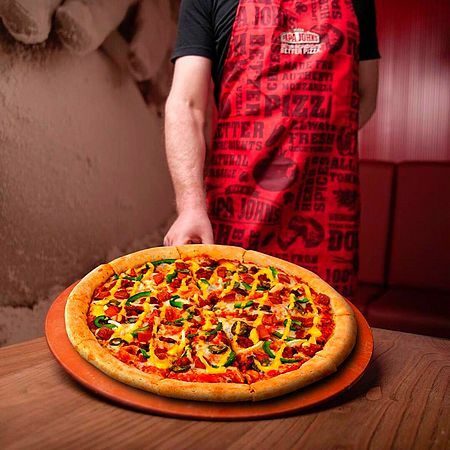 The two pizzas can be a combination of any two flavors and availed for dine-in, takeout, or delivery transactions. You only have until this weekend to avail of the promo! Looking for a good time? 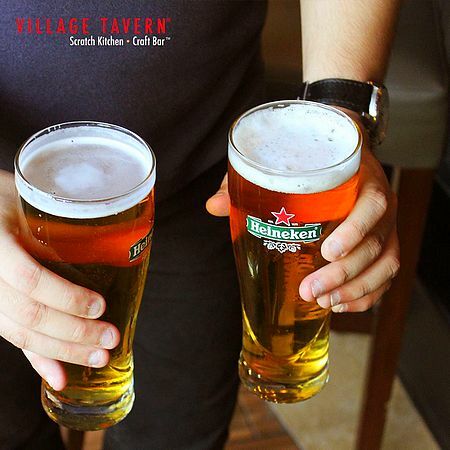 Head over to Village Tavern and enjoy unlimited Heineken Draught for only P499 when you dine in. This offer is available until December 14, just in time to kick off the holiday celebrations. Village Tavern is at C3 Bonifacio High Street Central, 7th Avenue, Bonifacio Global City. For more information, log on to Village Tavern's Facebook page. Sweeten up your weekend with this Krispy Kreme’s Holiday Deal: Buy a Pre-Assorted Mixed Dozen for P395 and get a half-dozen of Original Glazed Doughnuts for just P25. The mixed dozen includes six Original Glazed doughnuts, three Holiday doughnuts (Santa and/or North Star), and three regular assorted doughnuts (Chocolate Iced Sprinkles, Chocolate Iced Glazed, Chocolate Iced Custard Filled, Strawberry Iced Sprinkles, Glazed Vanilla Cake, and Glazed Chocolate Cake). This offer is available for dine-in, takeout, and drive-thru until tomorrow only. 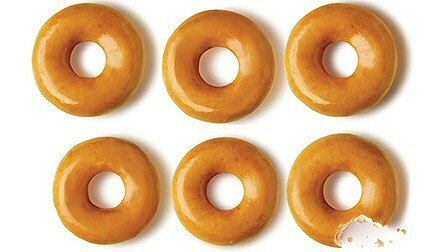 See a list of Krispy Kreme's branches. For more information, log on to Krispy Kreme's Facebook page. On your next pizza party, be sure to have sides to go with your Papa John’s pizza. Just purchase a 12- or 14-inch pizza on a Tuesday and you get to have two sides for free. Your choices include Calzones, Potato Wedges, Breadsticks, Fried Chicken, and Pepperoncini Dynamites. This promo is valid every Tuesday. See a list of Papa John's branches. For more information, log on to Papa John's Facebook page. 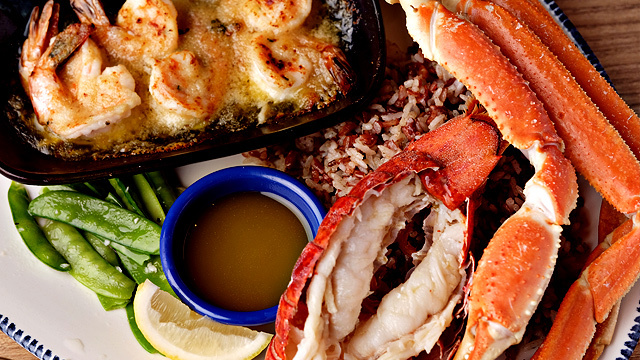 Red Lobster Is Finally in Manila: What Should You Order?